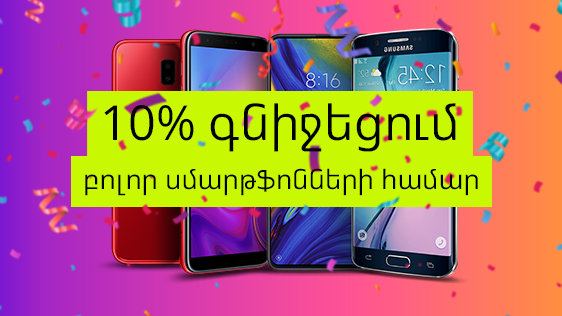 Today only, on March 19th there is a 10% price reduction for all smartphones’ assortment in Ucom. For the first time in Armenia the International Clients' Day is being celebrated. Ucom congratulates all its customers on this occasion and expresses its gratitude for using both mobile and fixed services of the company. «We highly appreciate our clients’ trust in us and make every possible effort to improve the quality of our services. The cooperation with our customers is a major priority for us», - said Hayk Yesayan, the Co-Founder and Director General at Ucom.